Other reserve battalions include the 13th Nuclear Chemical Defense Battalion (제13핵화학방위부대) at the Hamhŭng Vinalon Complex; unidentified 15th Nuclear Chemical Defense Battalion (제15핵화학방위부대); 16th Nuclear Chemical Defense Battalion (제16핵화학방위부대) at the Namhŭng Chemical Factory; 37th Nuclear Chemical Defense Battalion (제37핵화학방위부대) at a factory in Wŏnsan, Kangwŏn Province; 38th Nuclear Chemical Defense Battalion (제38핵화학방위부대) at the Sariwŏn Potash Fertilizer Complex. According to the Segye Ilbo, there are six reserve battalions and two active duty battalions (the 17th battalion in Onjŏng-ri, Sŏngch'ŏn-kun, South P'yŏng'an Province; and the 18th battalion in Sŏk'am-ri, P'yŏngwŏn-kun, South P'yŏng'an Province) for chemical and biological warfare. 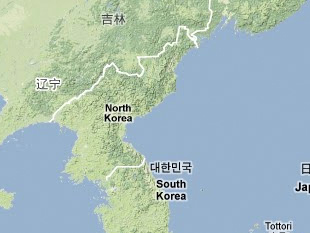 Sŏn Chong Ku, "Puk Haekhwahakpang'wiguk: Haeksaenghwahangmugi Ch'ongjihwi," Segye Ilbo, 21 May 1997, p. 17, www.kinds.or.kr.